Red Shoe Run 2017 is right around the corner, and we’re excited for our best year yet. 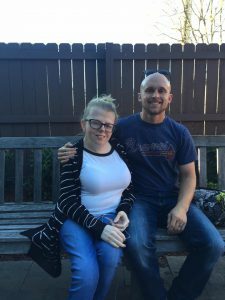 We caught up with Team Captain and first-time participant, Heather, to find out why she’s going the distance for the Ronald McDonald House. She shared her thoughts with us – see for yourself. Q: Tell us about your team. What led you to create one? A: Our team was created by my husband, Brian, myself, and our little cousin, Sadie. My husband and Sadie enjoy running and we love the Ronald McDonald House, so this was a perfect fit for us. Q: Have you ever participated in Red Shoe Run before? A: No this is our first year. 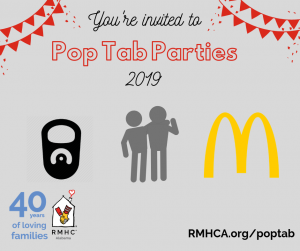 Q: Do you have a personal connection to anyone who has been affected by RMHC? A: Yes, when I was a child I had to have back surgery resulting in me being in the hospital for an extended period of time. They offered for my mother to stay at the House because we lived just far enough away. However, she declined feeling like another family may need the room more. Her mother was in town from Ohio and made it possible for her to stay with me in the hospital while she and my other grandmother helped take care of my brothers. Q: Have you been involved with RMHCA previously? A: Yes, our family regularly volunteers by serving dinners at the House in Birmingham. A: Spending the time with my family, watching my husband do what he loves, all while helping a great cause. Q: What would you say to someone who hasn’t signed up yet? A: If you love to run, this is a great run that will help families right here in Birmingham. We are excited to have the Bradley/Dennis Team joining us in our efforts to keep families close. Red Shoe Run has something for everyone. You can register as a “snoozer” and support the cause (while still getting a t-shirt) or you can run in one of our three races — the 10 mile, 5K or the 1-mile race. It is a family-friendly event that is sure to have something for everyone on your team. Register today at www.redshoerun-bham.org and tell us why you’re going the distance!